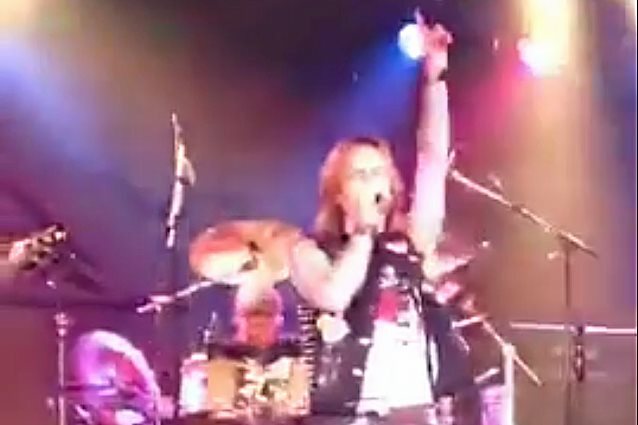 Bobby Blotzer's version of RATT made its live debut with QUIET RIOT and ADLER'S APPETITE singer Seann Nicols (a.k.a. Sheldon Tarsha) last night (Saturday, March 18) at the Prairie Knights Casino & Resort in Fort Yates, North Dakota. Video footage of the concert can be seen below. Nicols joined Blotzer's RATT as the replacement for Joshua Alan, who quit the band in January, explaining that he will be working and focusing on his original music this year. The rest of Blotzer's RATT continues to include guitarists Mitch Perry (TALAS, HEAVEN, STEELER, MSG, LITA FORD) and Stacey Blades (L.A. GUNS) and bassist Brad Lang (Y&T). Blotzer has been embroiled in a legal battle with the other members of the classic RATT lineup over the rights to the band's name. Since 2015, Blotzer had been playing shows under the name RATT with a lineup in which he is the sole member from the band's '80s heyday. He has pitted himself against bassist Juan Croucier, founding singer Stephen Pearcy and guitarist Warren DeMartini, who reunited last October for a surprise performance on a Monsters Of Rock cruise. The trio has since announced a series of RATT shows, including high-profile sets at Maryland's M3 Rock festival and Oklahoma's Rocklahoma, and has issued cease-and-desist letters to concert promoters in an attempt to block the Blotzer version of RATT from performing under that name. 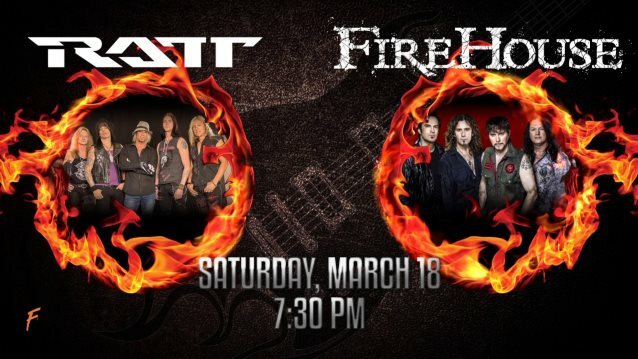 Prior to last night's performance, Blotzer took to Facebook to once again reassure RATT fans that he owns the rights to the band's name and to explain once again why he is carrying on with his version of the group. He wrote: "Everyone knows my intention out here is to make everything album quality and a real show, not just phoning it in like others. "A lot of you know I've been out here with RATT after the old O.G.s stayed off the road for six years. No one talked to no one. Now, after they saw how big we blew up, it obviously shook the denture cream off and we're in a war that should have been over, due the fact a conning to the court went down. "It's still unresolved. WBS Inc., my corporation, still owns the name. "I'm going into detail here only because [the promoters of the Prairie Knights Casino & Resort] show was served by the three blind bland mice a cease-and-desist. Anyone can send one of those to anybody. We then find out that Juan Hector Crucifer has been personally, frantically calling the venue, the gaming commission, the stage manager's mom — you get the point — trying to stop something he, they cannot. The main thing they are and have been trying to pull over everyone's eyes is they won. Reality, we are still in litigating. "[We'll be] back in court with resounding new evidence showing the lies and horseshit tactics they used in court to sway the judge. Still can't understand why he allowed some of the one-day-old declarations that are easily proved incorrect and blatant lies. "So here we are , selling out 3,000 tonight. "Come hear RATT the way you want to hear her sound. Like you grew up hearing, not Froggy the blender cats. "Yes, it's very personal to me. But, I'm real." Back in November, a California judge ruled against Blotzer with respect to whether Croucier had committed trademark infringement by using the RATT name and logo to advertise his band RATT'S JUAN CROUCIER in the fall of 2015. Blotzer, who had a spinal fusion surgery for the C6-C7 vertebrae in his neck four years ago, said that he will undergo lumbar spine surgery two days after the Prairie Knights Casino & Resort concert.